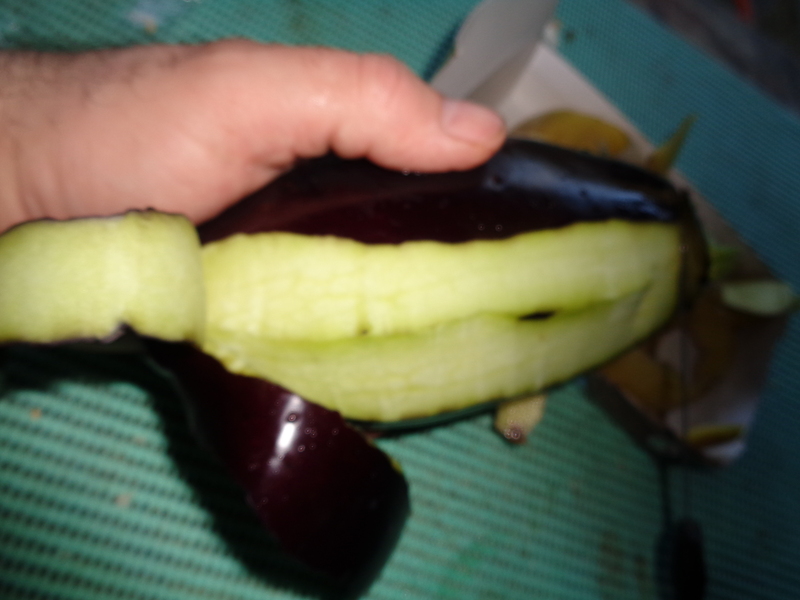 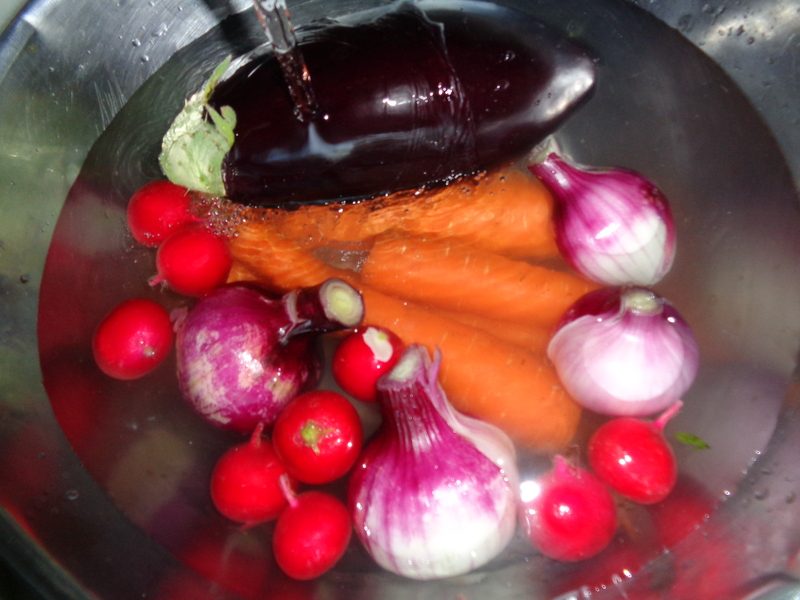 Let’s get fresh vegetables: carrots, onions, turnips, eggplants; you can ad more of your choice. 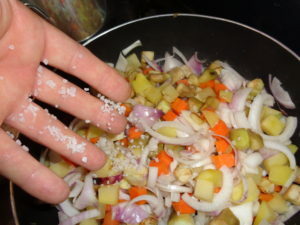 Aside keep ready extra virgin olive oil, marine salt and if you like white wine. 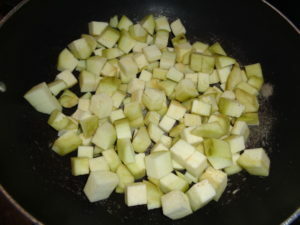 Cut it in dices (cubes of half inch) and put in the hot fry-pan. Note I’ll add oil later. 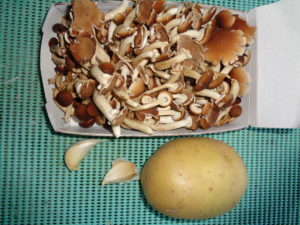 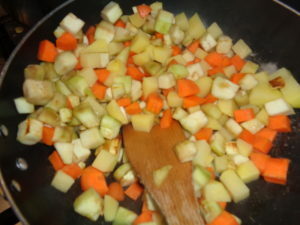 Start to cook. 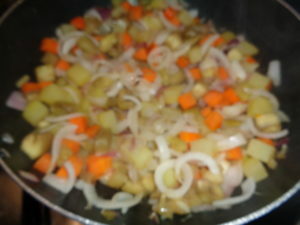 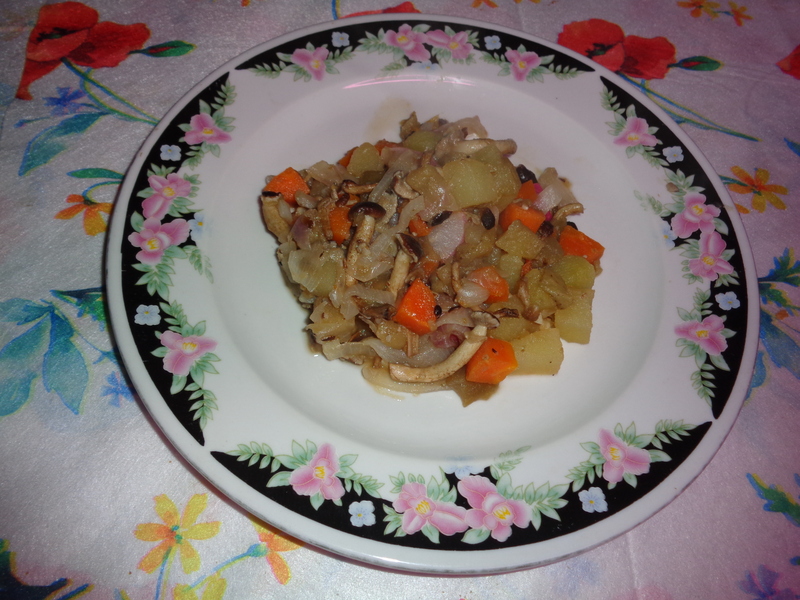 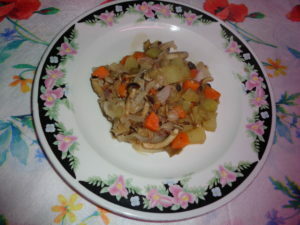 Cut potatoes and carrots and add to it. 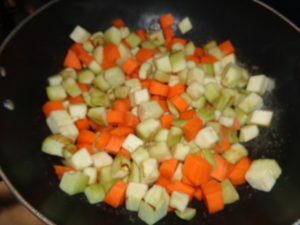 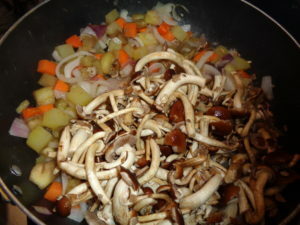 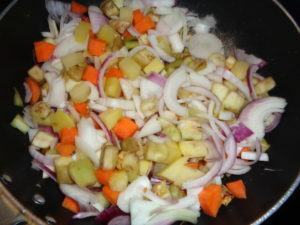 Stirring you let to cook for seven-eight minutes: stir to avoid the vegetables stick on the bottom of the fry-pan. Add two pinches of marine salt. Stir well. Cook until the onion fades. Stir well, then add two-three spoons of extra virgin olive oil. 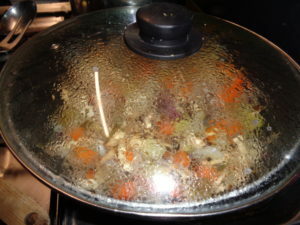 Stir well again. Cover with a lid and let it cook three-four minutes. 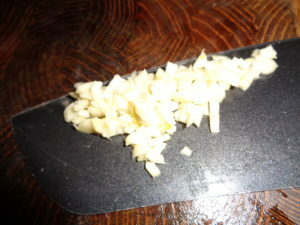 Chop some garlic and other spices if like. 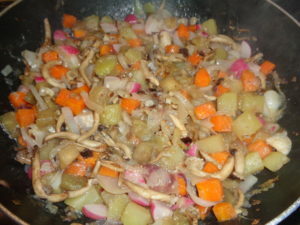 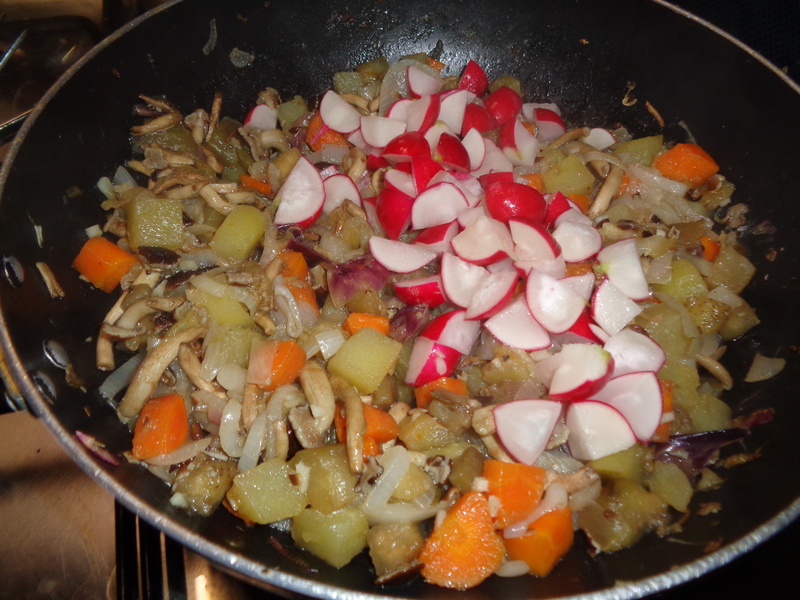 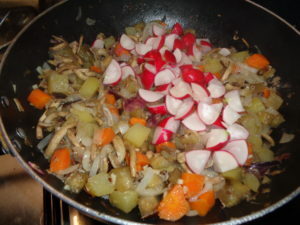 Add the garlic, stir, then add the turnip which you cut already. 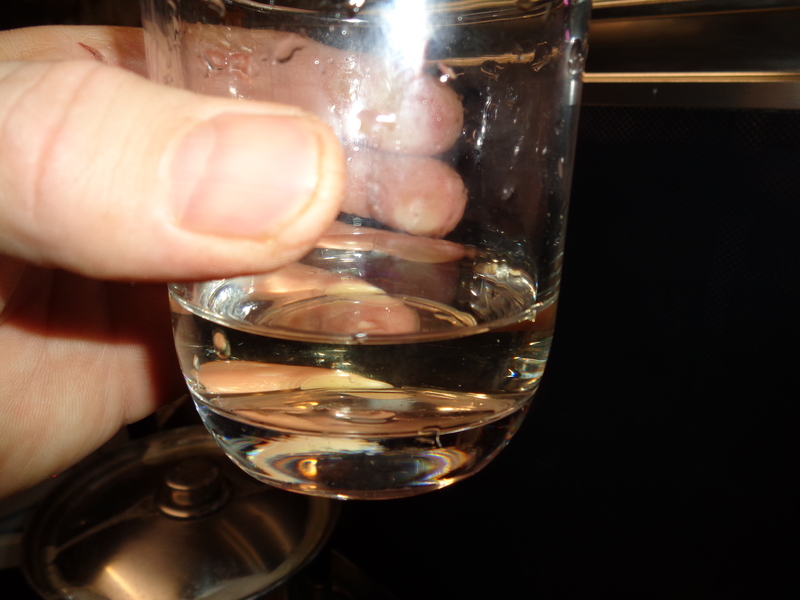 If you like add half glass of white wine, or broth or even water, this is needed to humidify the vegetables. 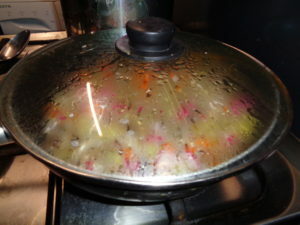 Stir well and cover with a lid, cook two minutes. Open the lid and cook few minutes to eventually dry excess of water. 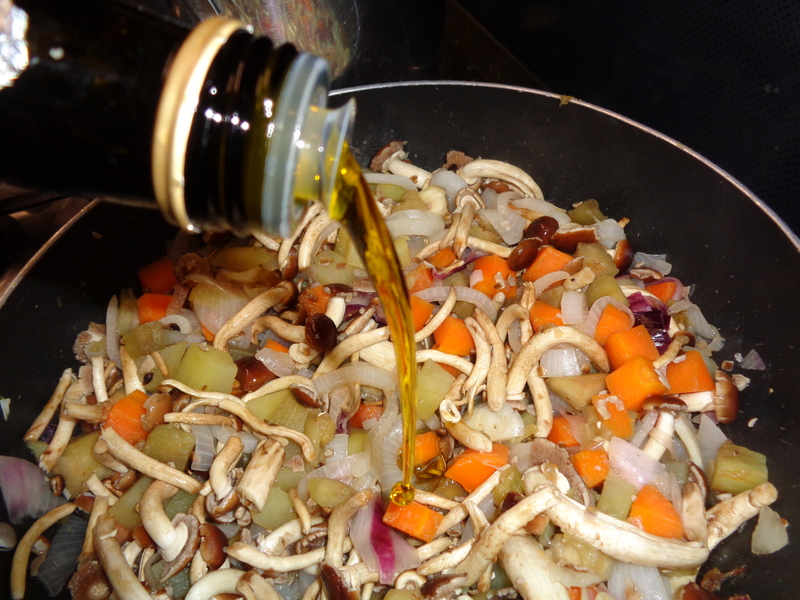 After this you are ready to serve as appetizer, side dish or vegetarian main curse may be with some vinegar and extra virgin olive oil.